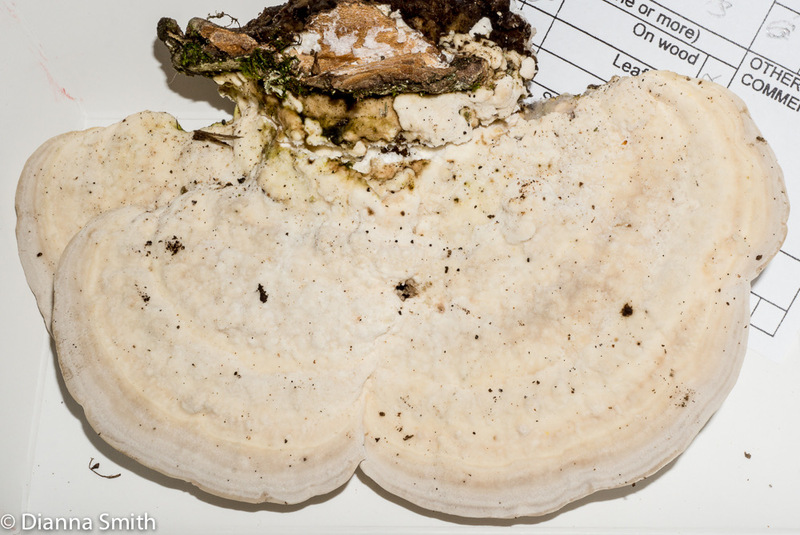 Trametes gibbosa is commonly called the ‘Lumpy Bracket’. 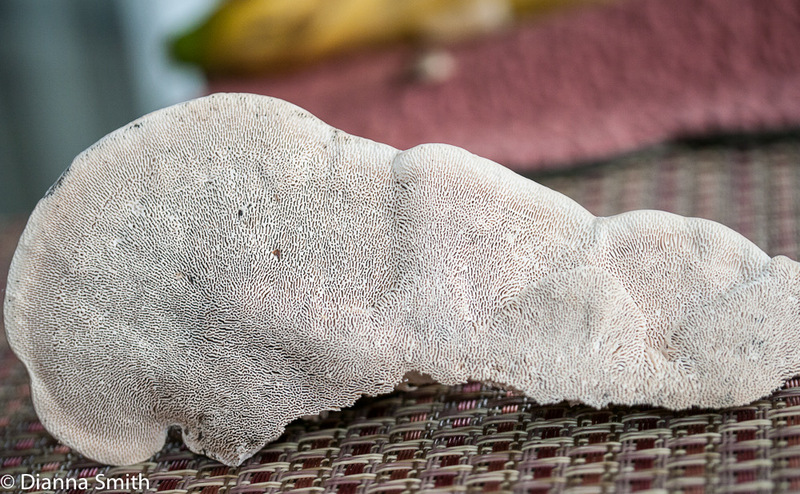 The top surface is gray or white and sometimes older fruiting bodies are also covered in algae. 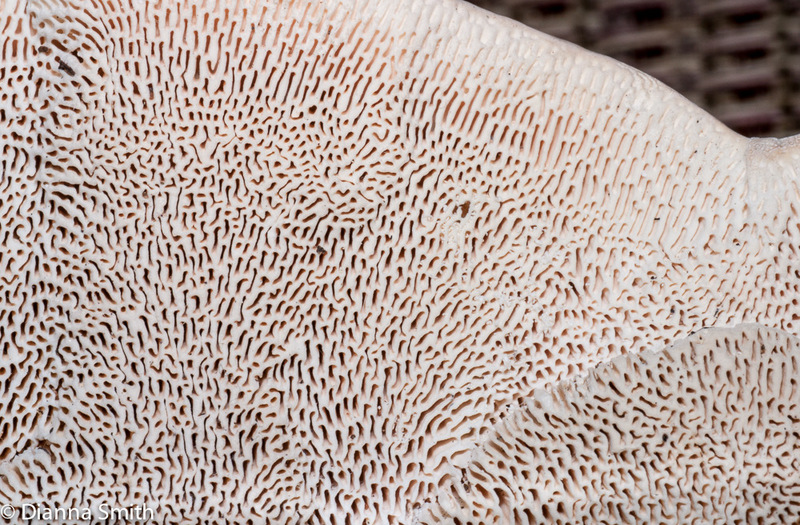 The hymenium has elongated pores. 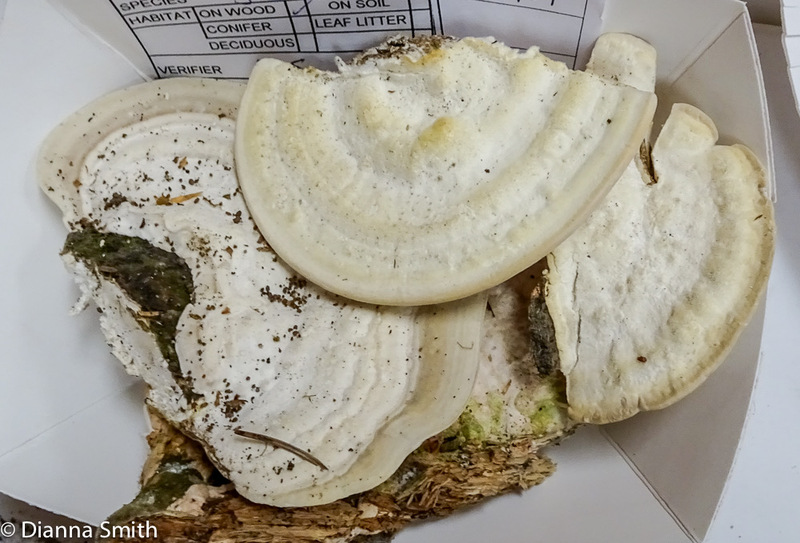 Spore print is white. 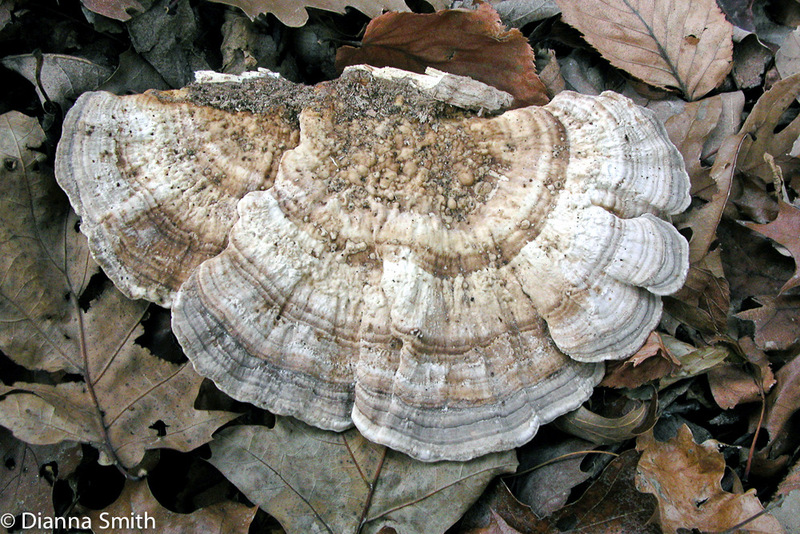 This is a white rot fungus commonly found on dead hardwoods, especially beech.